In anticipation of their new album that is released on the 23rd of November we are ceasing the day and getting together to ask them a few –maybe not so- frequently asked questions, see what they are up to and what makes solitude so respectfully important. Welcome back guys! We have been looking forward to your return, previsioning the new lineup and your new sound identity. We’ve had a little sneak peek of the new record and the grand reviews that you are getting are well deserved. Let’s get some F.A.Qs out of the way before ceasing the day. Who is In the Woods today? What’s going on with the new line up? In The Woods currently consists of Anders Kobro, James Fogarty and Bernt Sorenson. 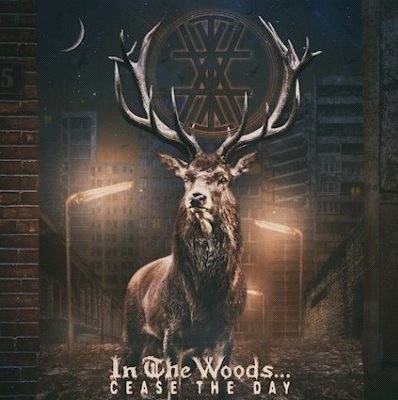 We finished Cease the Day, are now recieving reviews and anticipating the release and making plans for some live shows in 2019 with the rest of our luive band (Kare and Alex). The Botteri brothers chose to leave due to recurring issues which had plagued the band since the 90s – they are currently finishing an album for a new project, and James will be recording vocals for it. What would happen to Norway without metal? Lots of depressive folk music about forests, trolls and dark winter nights. We would also probably have more churches and larger stock-piles of Black & White face-paint. What happened between 2000 and 2014? For ITW members, Anders joined full-time with Carpathian Forest and (for a few albums with Green Carnation), the Botteri brothers both independently recorded some of their own music (as well as working with Green Carnation for one album), Jan K Transeth quit performing to become a promoter of local music, Oddvar also recorded some music by himself, but unfortunately died in 2014 (which lead to Anders and the Botteris reforming ITW). What happens in the woods stays in the woods? There is no echo in the deep forests of Norway. The 2nd track from the forthcoming album is called ‘Respect My Solitude’. What makes solitude so important? Solitude is what enable you to assess your current situation, and decide how you want to move forwards without the external pressure of anyone else. Are you really working class guys? What does a typical day in the life looks like when you are not on tour? Best translated as ‘Contentment’ with how your life is (without the addition of anything). Enjoying a simple life. Not that I’m aware of – but some people initially are confused by the name. I’m actually socially liberal and (for a few years) was an active trade-unionist. I simply chose the name because I found it in in English dictionary and it sounded odd and had a mystical meaning (‘Eternity’ – hardly political in intent). The fact it was German in origin didn’t even come into it (I don’t speak a word of it). You are mixing up doom, death, and progressive metal –to name a few- . Is this your interpretation of a musically substantial vortex? It’s the stuff we like to write and enjoy playing live. We’re big fans of traditional 80s metal and 70s rock – so you get as much of that as you do extreme metal. What happens after the release of the new album? Do we have any tour dates? We’re currently waiting on some dates, but will for sure be playing in 2019 and adding some new tracks to the live set. Looking forward to listen to the new material!